We came for long-standing professional friendships. 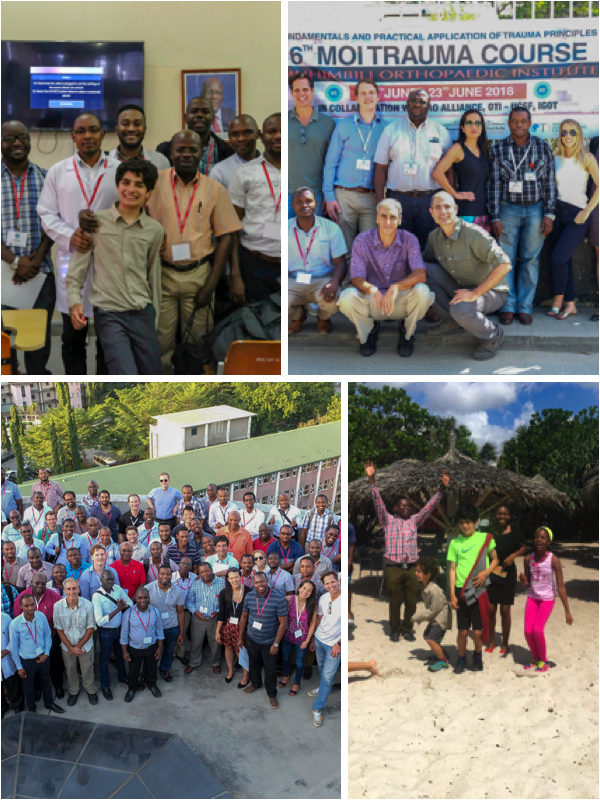 My husband works with IGOT UCSF and we came with him as part of a meeting of orthopedic trauma surgeons in East Africa and some from the Middle East. We came because they have been learning, exchanging, building a beautiful collaboration together over the past 6 years. We came in search of awe. We want our kids to know that earth and the people on it are awesome. Also, if they are going to be seeking dopamine and adrenaline during their teen years, we rather they know it is available un-augmented and straight from the earth, and not-exactly-free, but belongs to everyone. We came for a break. From the newsreel and reality in the US. We left humbled, emboldened, with friendships, and a sense of common international purpose. 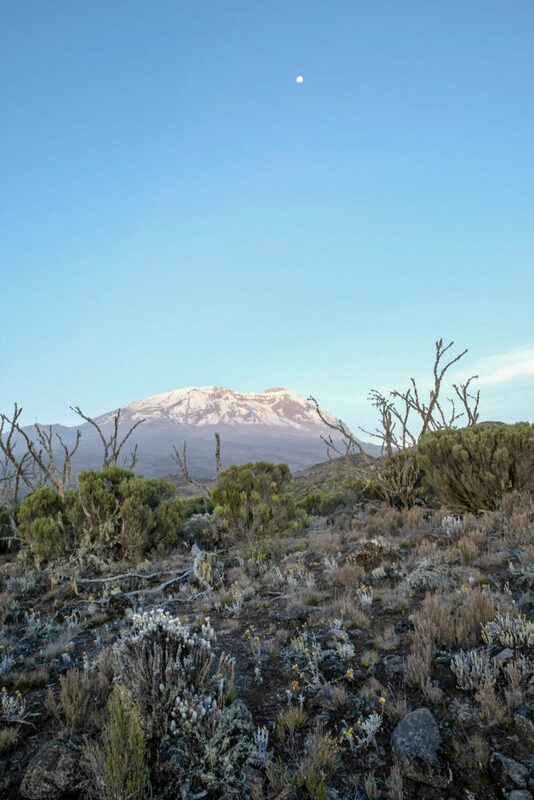 Turns out, climbing Kilimanjaro is no joke. Yep. 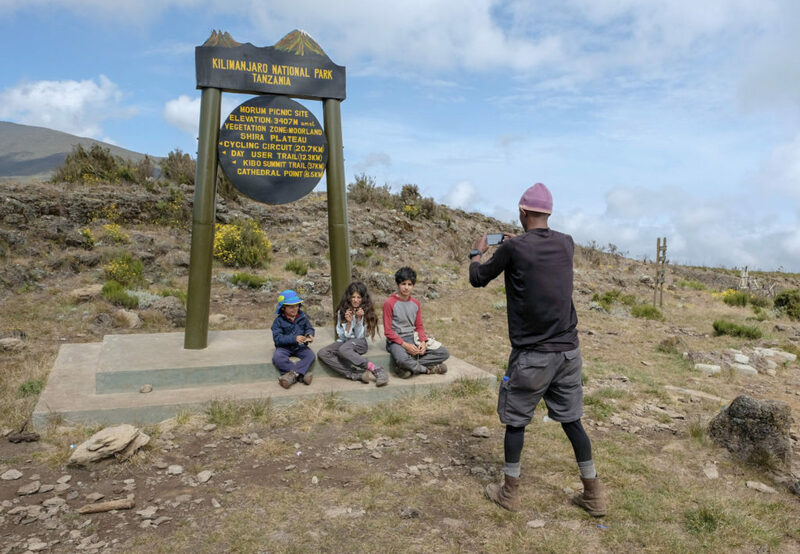 The decision to climb Kili with a 5-year-old probably lands amongst my top 10 naive parenting decisions. 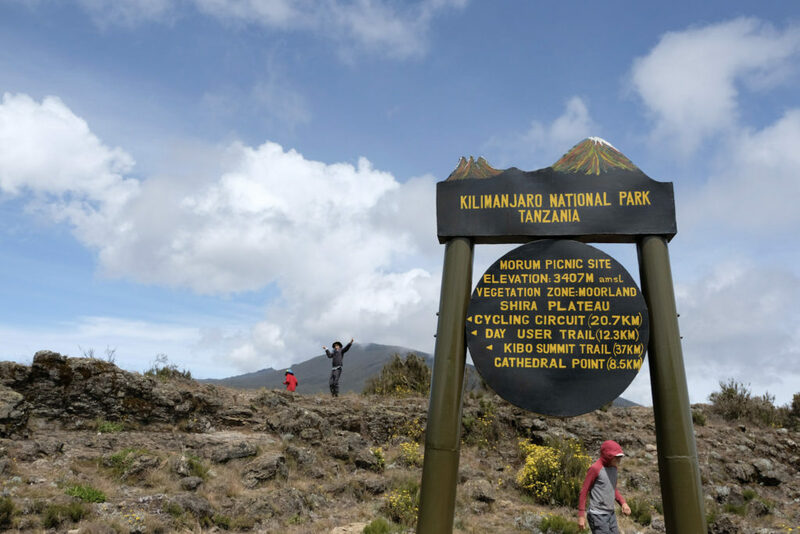 Luckily, we landed in the care of Sam Diah and the Tanzania Travel Company – who literally saved our lives. Sam greeted our request with amusement, followed by individualized attention and flexibility, and then in an act of unbelievable goodness, actually accompanied us on the expedition. 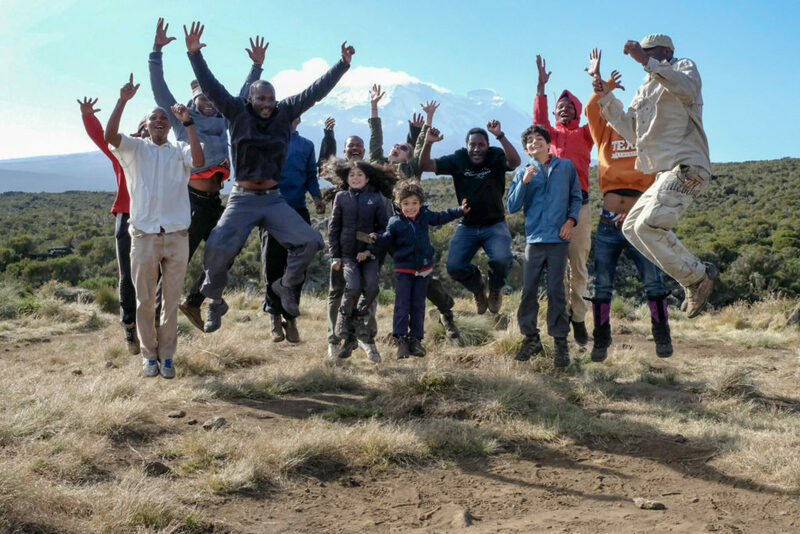 He designed a “Kili with kids” expedition for us which was a 2-day expedition to climb Shira Cathedral, the first summit of Kilimanjaro at 3872 meters high, and to stay overnight at the Shira 1 base camp. 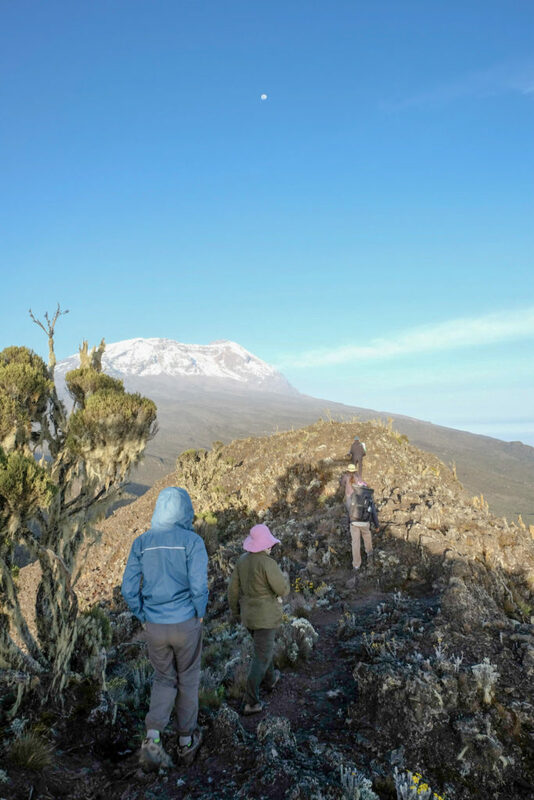 What it actually took to survive Shira1 Cathedral Kilimanjaro. A large team of incredibly skilled, well equipped, and kind mountaineers that watched our backs at every moment. 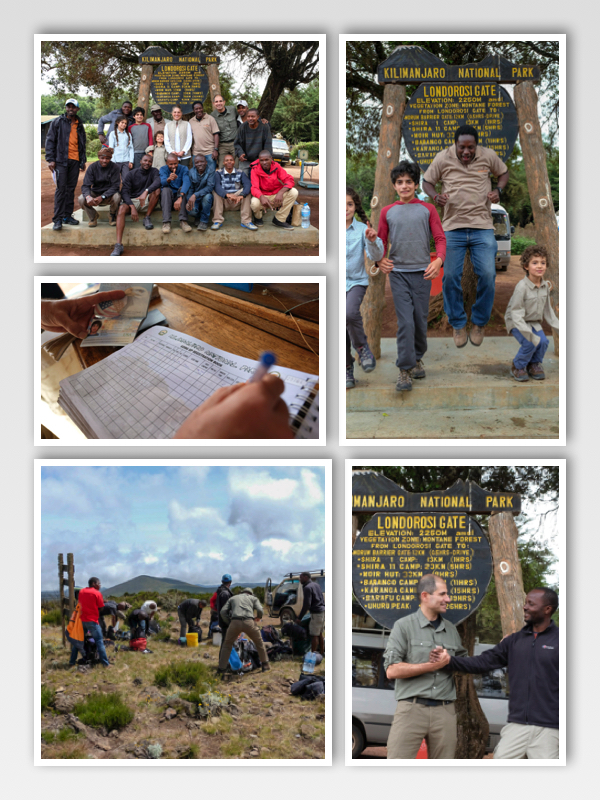 And so, here are the lessons learned on the mountain, from the mountain and from Sam Diah and the team that supported us. Always go at your own pace. No matter what. Find your pace and stick with it. 9. When you are bold enough to commit to your authentic pace, you will find unexpected and treasured camaraderie with others who share it. Don’t ever, EVER, use more energy than you absolutely need to because life will take every last bit of energy you have. Motherhood is best as a shared experience. 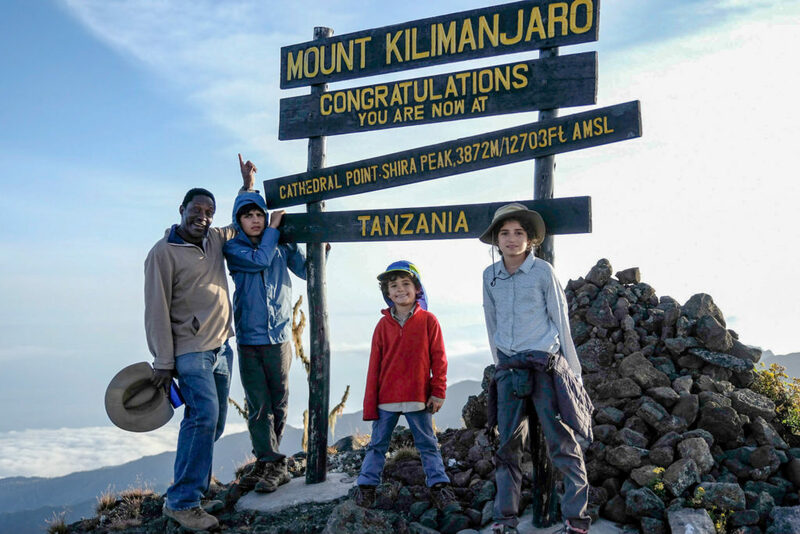 Thank you, Sam, and highly skilled guides Shaban and Paul for encouraging my children while teaching them about Obsidian rocks and medicinal plants, for making sure they were well-hydrated, welcome and included. Thank you, Alex and the other porters for your infectious positive energy, making sure we were safe, and treating my kids like celebrities. Thank you for sharing stories of your own families with us. You absolutely must have a positive brain. Yes, you can. 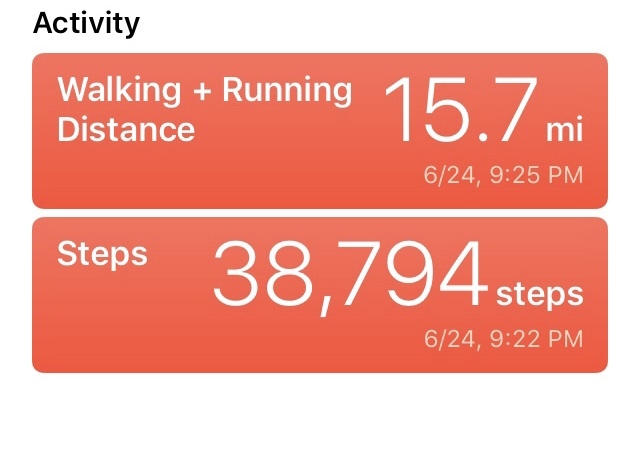 Your kids can walk 16 miles in one day, two days in a row. Pessimism is a luxury you can’t afford when life gets serious. 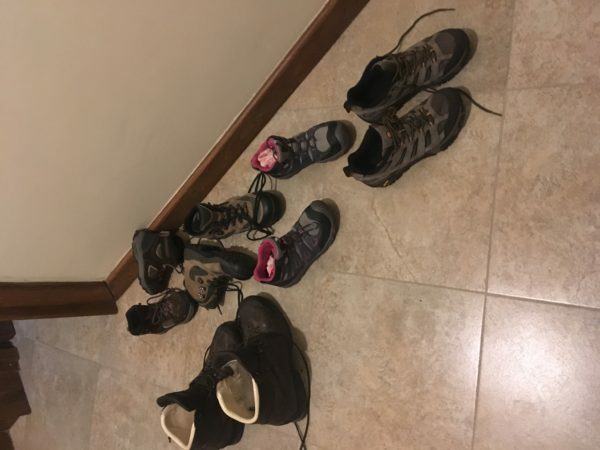 There were a few moments I gave into despair when I was worried one of my kids was having mountain sickness, or when I finally realized it actually can get much colder than freezing cold (not joking – actual -10 degrees C) at the equator, and Sam spoke to me saying: when you are on the mountain you absolutely must keep a positive mind. It is not a choice but a pre-requisite. As one of the few African safari owners in Africa, Sam is passionate about serving as a role model. He founded the Tanzania Travel Company 15 years ago and has created a thriving business by building relationships, fairly treating his porters and employees, and by keeping a positive mindset. Mountain people are the absolute best. Thank you dear team, for the live World Cup coverage somehow streaming out of your pocket radios during our trek, for new enthusiastic insights on Messi versus Ronaldo, for teaching us about African soccer, for cheering on Iran’s futbol team during their best yet World Cup run, and for the kindness and joy you experienced with us. Food eaten on the mountain is like nothing else. Dear Tanzania Travel Company, please know the Leek Soup, stews and rice we ate after a day of trekking was the single best meal I’ve had. But hands down, it is the memory of the Okra Stew that I still carry with me. 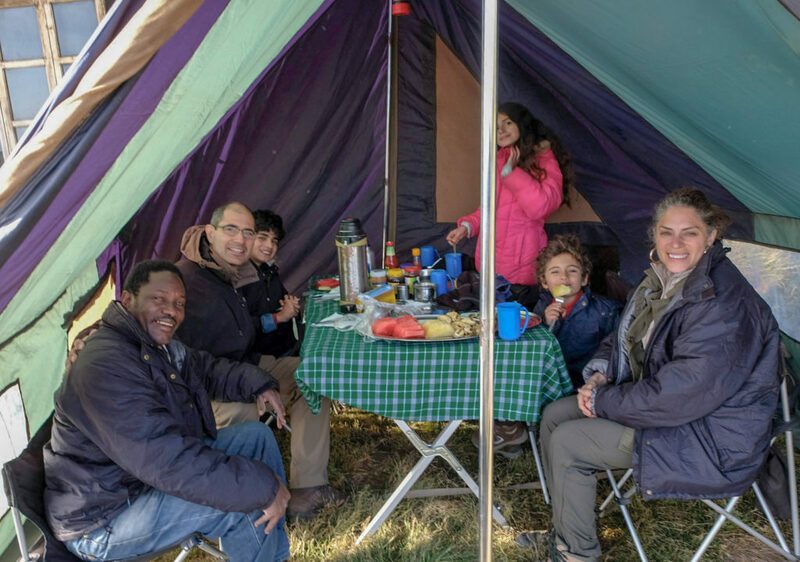 That night, we were all huddled in the single kitchen tent in order to stay warm around the cooking fire, and in Tanzanian spirit, the crew refused to eat until we ate. But – ha! – you did not know that we would not be out-Persianized, and so we insisted that we all eat together in one of the most memorable dinners I’ve ever had. 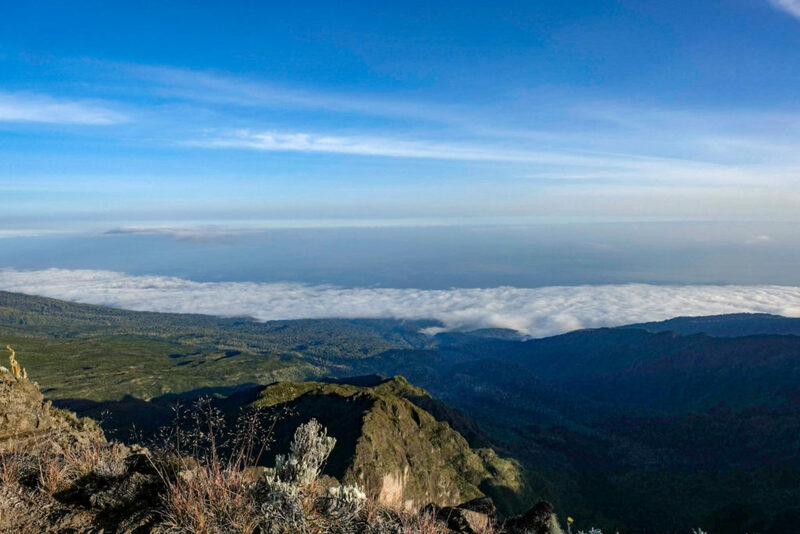 3. awe can have a capital A.
Tanzania is an incredibly diverse country with many religions, ethnicities and tribes bound by a sense of ujamaa — or family — above all else. 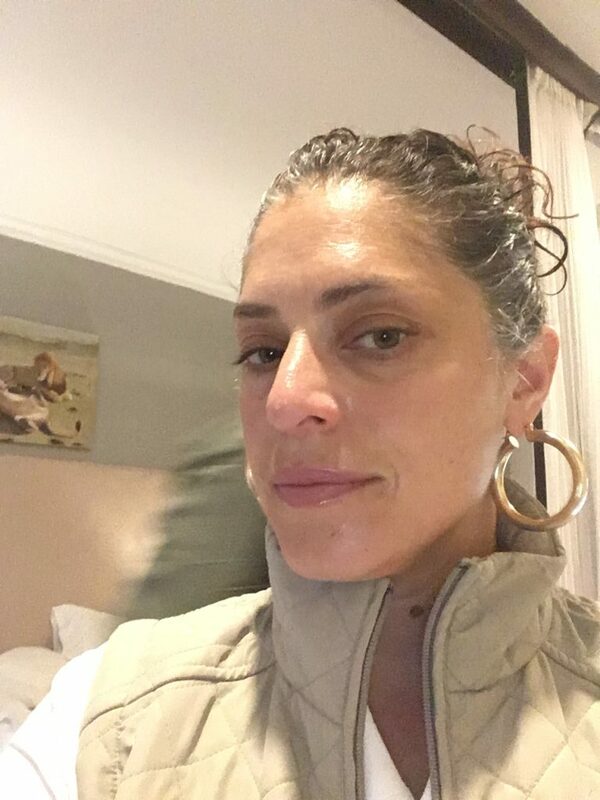 Thank you, Tanzania for allowing us to feel comfortable as we are, for being interested and humble enough to be curious about what it means to be Iranian-American, for being open to hearing about the depth of our experience, and for honoring us by sharing the depth and variety of experiences in Tanzania. 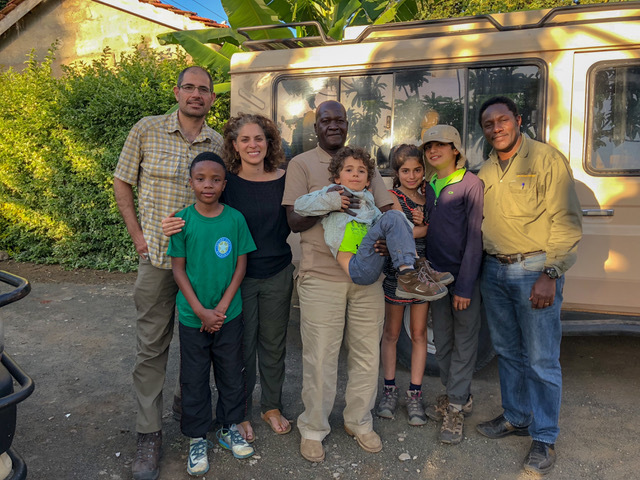 Thank you, William, for your gentle and kind expertise around wildlife, for not getting too close to the elephants on my behalf, and Sam for taking us into your family and mission to make Tanzania’s wildlife last. Remember you never walk alone. 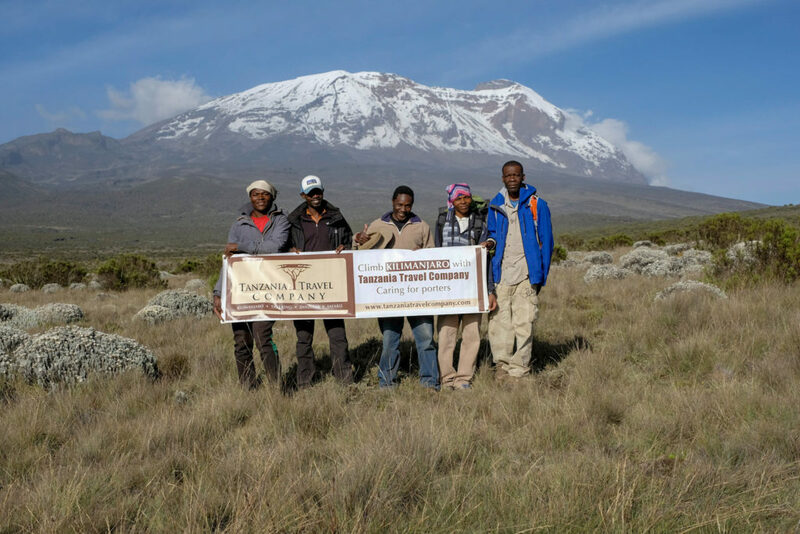 ++ With tremendous gratitude, asante sana, Tanazania, Kili and Tanzania Travel and Safari company. We will miss you and hope to be back one day soon to summit the whole mountain. 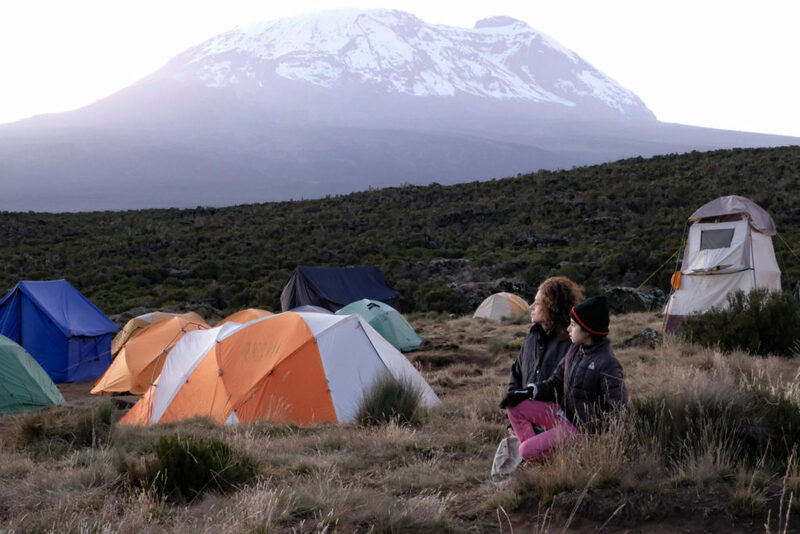 READERS: Please check out Outdoor Afro’s expedition to Kilimanjaro, here!